A Schwinn Certified Indoor Cycling Instructor, Lindsay’s studio cycle classes are all about form. She pushes her students to their max, but brings her yoga training in to ensure that riders leave with a sweat, not an injury. Keeping a positive, encouraging tone, she reminds them to set intentions and goals and aim for achievement rather than pain and calorie burning. Lindsay’s goal is to see riders leave the bike feeling successful and better than they came in, and because of that, her rides often sell out! Cycle for Survival is the national movement to beat rare cancers. 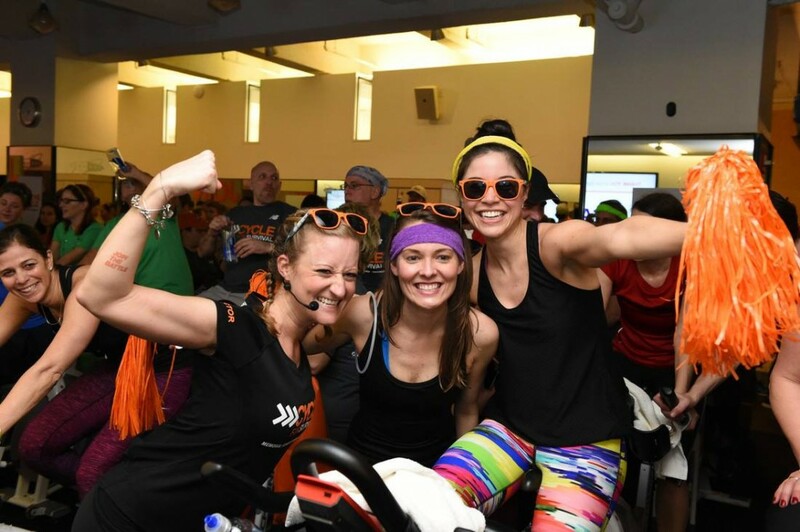 Our high-energy indoor team cycling events provide a tangible way for you to fight back—100% of all money raised directly funds lifesaving rare cancer research. Lindsay is heading up Team MuscleButt again, and you’ll definitely see her on the instructor bike in the spring! Learn more, get involved, and DONATE!